- A voice in the church to help everyone in the community know that CareNet is available for free pregnancy testing and limited ultrasounds, as well as peer counseling, material assistance, education, and support for anyone facing an unplanned pregnancy. - Attend a 4 hour Safety and Security Class, which is on NOVEMBER 8 from 5-9 p.m. Trail Life USA (TLUSA) is a Christian outdoor adventure program that emphasizes and teaches biblical moral values. TLUSA is a program focused on turning BOYS into godly MEN. Our firm conviction is that this can only be done by allowing a boy the opportunity to interact, work with, and be mentored by and with other Christian men. Congratulations Brother Scott Brown, pastor of First Baptist Church, Waverly, for being selected to write Sunday School commentaries for the September-November Explorer the Bible Series. Contact Parkers Creek for more info. The class will be held September 4th until November 27th. 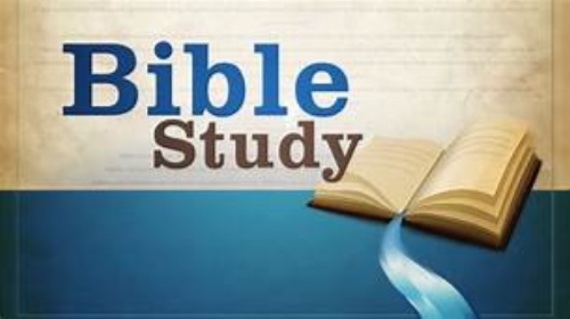 Evening class at Judson Baptist Associational Building (9841 Hwy 46, Bon Aqua, TN) from 7:00-8:00 PM. The workbook is $10 and can be paid at the first class. Register before August 24th so that the books can be ordered. CLARKSVILLE -- Like many retirees, you can find James Shepherd, 84, fishing in his boat several days each week. But he's set apart from many other retirees by what's he's fishing for. To Read the whole article follow the link below. 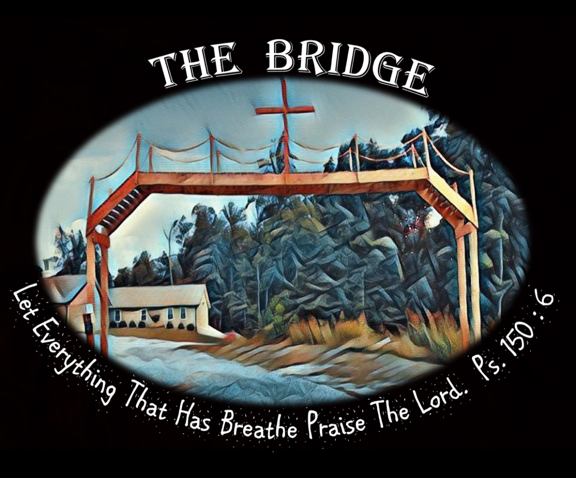 October 13th — Judson Assoc: Parkers Creek BC, Meeting at 8:30am. Looking for opportunities in Tennessee to serve? Checkout this link. 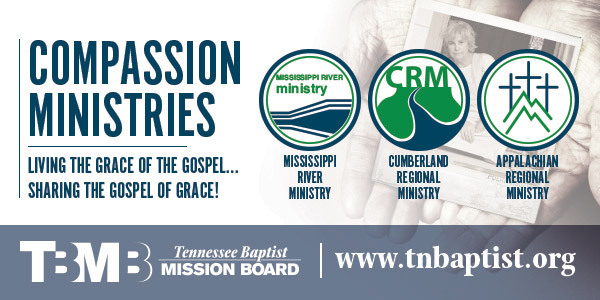 Contact Jarrett Scott at jscott@tnbaptist.org or 615-371-7905. For more information on Summit follow the link below. A word from Brother Michael Wood. Recently, I returned home from my second mission trip to Sigchos, Ecuador. Now, this was not a trip to a large city or even a place with a well-established Baptist church. Sigchos is a small mountain town where electricity and running water are used sparingly due to costs, and the Catholic Church has a domineering presence. Over the course of the week, we witnessed to many unbelievers, had nightly Bible studies with the small but growing Baptist church there, and experienced a Sunday morning worship service with more love for God than I have ever experienced here in America. Of all the fruitful works God performed through the church there, one somewhat unfruitful day kept coming to mind. The day was when we were witnessing outside the Catholic church on Confirmation Day. You see, due to the disproportionately large Catholic church in Sigchos, they set aside a day out of the year for all children from Sigchos and all the surrounding communities to be confirmed. To say the least, the town square on which the cathedral is located was packed like sardines, while elsewhere was a ghost town. We all, therefore, went where the people were to witness. Now, I said earlier that it was somewhat unfruitful, and that is true. While we witnessed to many, nearly all of them were prepared for evangelicals, and they kindly listened before dismissing most of us. As I was reflecting on that day, God took my mind to Ephesians 6:10-13 and the concept of spiritual warfare. Now many in America would say we were on the enemies' doorstep, that we took the fight to them. Not only is that not accurate, but if so, then we lost spectacularly (as I mentioned earlier). The truth is, regardless of where we witness, we are behind enemy lines. This entire world is ruled by Satan (Jn 14:30; 1 Jn 4:4, 5:19). He is called the prince of the power of the air, the ruler of this world, and the god of this world (Eph 2:2, Jn 12:31, 16:11; 2 Cor 4:4). God gave the world over to him when it was corrupted by sin. Therefore, we are constantly in the midst of the battlefield. To say one place is a battlefield more than any other is simply untrue. While persecution might be greater in specific places than others, the entire world is still no less the realm of Satan. However, we are not to actively seek battle because the battle is not for us to win. Eph 6:11 and 13 tell us that we are to “stand against the schemes of the devil” and “withstand in the evil day.” We are not to go and fight. 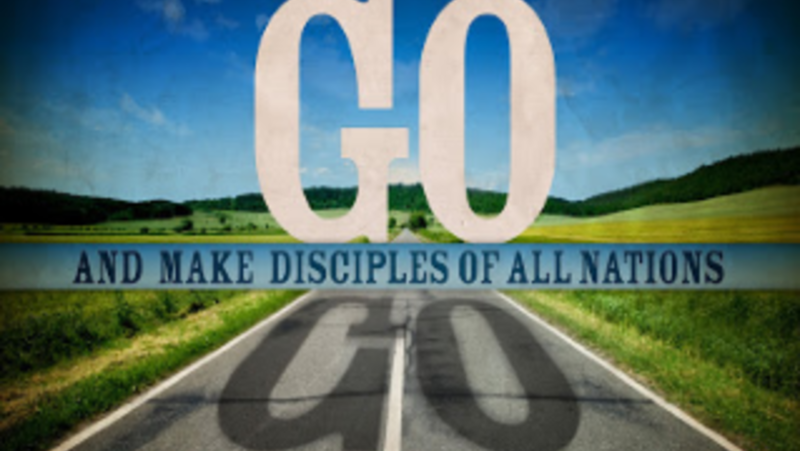 We are to go and make disciples, teaching and baptizing from all nations in the name of the Father, Son, & Holy Spirit (Matt. 28:18ff). If we truly want a fight, Satan and his demons are here and ready. We don't even have to step off our own doorsteps because the battle starts inside us, and that is a battle we cannot win. But why not? Why is it such a hard battle? Ephesians 6:12 says, “we do not wrestle against flesh and blood” because it is a spiritual battle. We can win physical battles, but we have no chance in a spiritual battle because our soul, our spirit, is dead in our sins (Eph 2:1). Satan has our spirits from the moment we are born into sin. 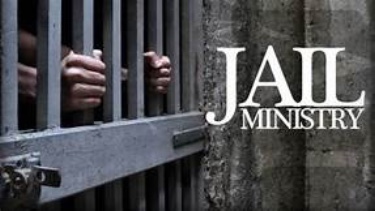 It says again in Ephesians 6:12 that we are fighting “against the rulers, the authorities, the cosmic powers over this present darkness, and spiritual forces of evil in the heavenly places”. We're trying to fight in a place of pure evil against spiritual forces that exist outside of this realm. It is truly an impossible battle for us. So, if we are not to actively seek out the battle, and we can't win the fight, what are we doing standing around, and in where does our hope lie? The answer is found in Ephesians 6:10. Our hope lies in a who, not a where, and it is the Lord Jesus Christ. We are told to “be strong in the Lord and in the strength of His might”. The armor of God we are told to wear is just that, God's armor, not ours (Eph 6:10-11). We don't have to actively seek the impossible fight because Christ has already won (Jn 16:33; 1 Cor 15:57). From the first verse to the end of the passage, Eph 6:10-20 (the Armor of God or Spiritual Warfare passage) is about God, and Him alone. It really shows our inadequacy and His complete sufficiency to win the war. Furthermore, God does so by pointing to Himself and His power only. We do not win by our own doing. God has won and will win by His power alone. We are simply vessels for that power. Therefore, what does this mean for us? We are to stand firm. We are not to seek battle. Instead, we are to seek Him. We are to study His word, mature in Christ, and go and proclaim the gospel, teaching and preaching the Word of God. Numerous times, when Paul uses the analogy of a race or game, this is to which he is referring (1 Cor 9:24ff; Phil 3:12ff; Gal 2:2; 5:7; Heb 12:1-3; 1 Tim 1:18-20; 6:11-16; 2 Tim 2:1-13; 4:6-8). We are to persevere in the faith, as in growing and maturing in Christ, which can only truly be done by living out His commands. It's important to note here that in 2 Tim, Paul tells Timothy to fight the good fight of faith, and he compares him to a soldier. This should be seen in light of the previous discussions on what a soldier for God does. What's even better is that the spiritual battle we can't win, but God has won for us, has an even greater spiritual reward. Jesus told us in Mat 6:19-21 to not store treasures on earth but do so in heaven. That's because a spiritual battle reaps a spiritual reward, and just as it's the battle God has won, so is the reward the one true God has given us. How great and glorious He is that He fought and fights a battle for us and then gives us a reward from that battle in which we are powerless! In Hebrews, we are told we have no lasting city or country here, but a heavenly one to come (Heb 11:10, 16; 12:22; 13:14). Jesus said he was preparing a place for us, and our rewards will be great (Jn 14:1-6). What is important to note, though, is that the reward is a place. It's not physical things in which we will find pleasure. Instead, it is to have a permanent home in the presence of the Almighty God, our Lord and Savior, and our Counselor. What greater reward could we ask for? Praise God for His glory, goodness, mercy, grace, power, and love! 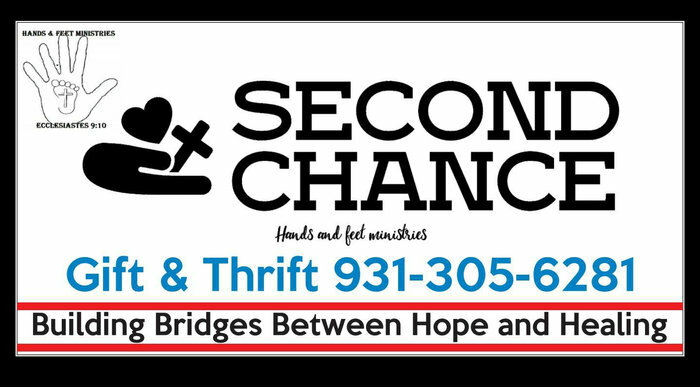 Hands and Feet Ministries and Second Chance Gift and Thrift exists to provide services and resources for this struggling with addiction and other social issues, and the families and loved ones caught in the wake. 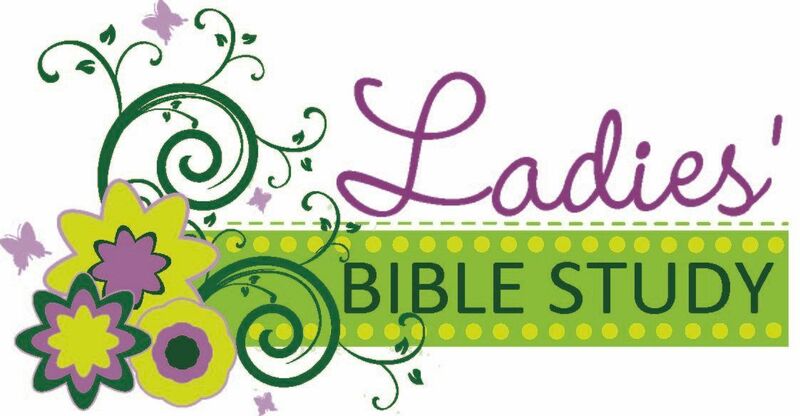 Need a church Bible Study? Contact Ashlinn Turnbow (423-827-8585) if interested in borrowing any studies listed below from The Association. Copyright © 2018 JST Baptist Association, All rights reserved.